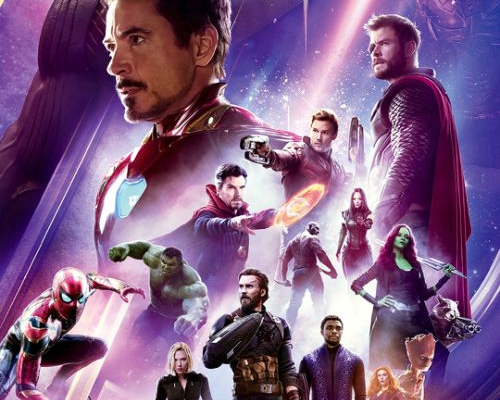 New Avengers 4 promo art has surfaced, showing more of the key team that the film will be focused on before the other heroes inevitably return. As you can see, Black Widow is back to having red hair, and it’s clearly grown out, indicating that some time has passed between Infinity War and Avengers 4. Captain America is not only clean-shaven, but he’s actually assumed the identity of Captain America again after the events of Infinity War, and while there’s still no sign of Cap’s classic shield on his person (though the image of himself, Iron Man, Hawkeye/Ronin, Ant-Man, Black Widow, and Thor has it in the background), his scaled chainmail armor is officially in after being alluded to in previous installments. The promo art once again shows Thanos in armor, meaning that after confidently not needing to use it for his assault on the entire Marvel Cinematic Universe, he feels that he’ll absolutely need it for his return to battle. Avengers 4 will be released on May 3, 2019.